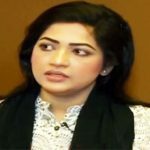 Sabila Nur is a Bangladeshi popular actress and model. 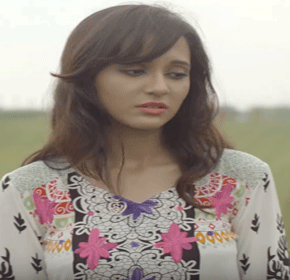 The beautiful model comes to the timeline around the country with the telefilm ‘U-Turn’. She is endorsed by the various leading commercial brand of the Bangladesh for their television commercial. 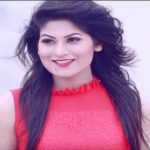 Sabila is a well-known face in the small screen of the country. She is considered one of the rising stars of the country who has been popular with young generation within very short time. Sabila Nur was born on May 27, 1995, in Dhaka, Bangladesh. She was much affectionate about dancing from early childhood. Sabila learned dancing from Bulbul Lalitakala Academy and achieved 1st class in dancing as well as became Champion in Poddokuri. She is a student of North South University in BBA. Sabila Nur kicked off the journey in the media industry by modeling for the country largest telecom company Grameen Phone. Then she never looked back in career, got lots of chance for TVC as well as the television drama. She made her debut in the drama world with the ‘U-Turn’ where she starred in the role of a drug addicted girl and got positive acclamation from the critics and audience. Sabila showed off a terrific performance in the drama ‘Teen Teen’ and ‘Chemistry’. She played a magnificent role in the drama ‘Monkey Business’. The drama was the commercial success in the country. Now, she is a well-known and popular actress in Bangladesh who consistently entertaining since early her career. She is mostly popular to the young people of Bangladesh. Obviously, she is one of the talented models in our country.